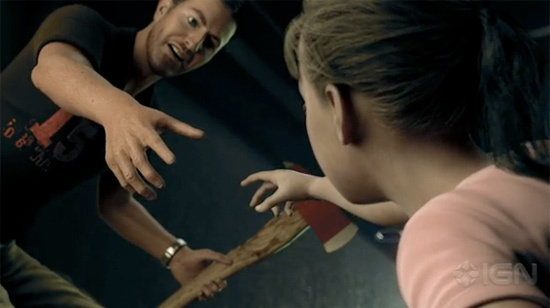 I'm sure you all remember that incredible video game trailer for Dead Island that debuted earlier this week. It spread like wildfire across the internet, and everyone seemed to love it. The trailer plays out more like a short film or movie trailer than a video game trailer. It was one of the most beautifully sad and effective trailers I think I've ever seen. Well, the rights to the game have already been snatched up, and its on its way to getting a big screen adaptation. The movie rights were picked up by veteran producer by the name of Sean Daniel. He's been producing movies for over 20 years, and has brought us films such as Dazed and Confused, Tombstone, The Mummy, and The Wolfman. It was only a matter of time before this game property got picked up for a feature film adaptation, and it happened pretty freakin' fast. One thing you might not know is that this game has been going through some problems. It was announced a few years ago, and since then it's had a good amount of problems and delays. That trailer caused this game to explode and become an overnight sensation. The developers of the game Techland must be incredibly excited about all this. Dead Island went from a "troubled game that's taken forever to come out" to a "game everyone will play this fall because the awareness on it is gigantic." The game takes place on a resort island that has been taken over by zombies, the one cool and original idea that it has going for it is that you don't get the typical weaponry used to survive in a zombie video game world. Instead, you can only use the objects you'd find in a resort hotel or scattered around an island, and it's up to you to figure out how to use these things on the island as weapons. It will be interesting to see how the game turns out, I'm a huge zombie fan so you can count me in. Obviously the gameplay won't look like what we saw in the trailer, but it give you an idea of what the game world will be like. I can't wait to see the creative team that Daniel brings together to develop this movie. Hopefully they're talented. What are your thoughts on this news? If you haven't seen the trailer yet Click Here to check it out! Amazing Live Action Version of DEAD ISLAND's Backwards Trailer!